AS INVENTORS OF THE LEAVERS HOODIE OVER 20 YEARS AGO, WE’RE STILL NO.1, OFFERING THE BEST QUALITY HOODIES WITH UNRIVALLED CUSTOMER SERVICE. 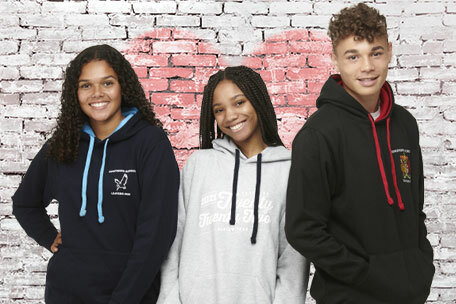 Our School Leavers Company Leavers Hoodies are manufactured to our high specifications and to ethical standards (WRAP approved). They are thick, warm and soft — we don't think you'll find better! Our designs are created by our team of in-house designers, creating the best looking designs year-on-year. You might notice that most of our designs are copied by other companies, but they never look as good. Plus if you have an idea for a design we can usually create it! It's what we are best at. There is always someone on hand 9am-5.30pm weekdays to answer any questions you may have and help you every step of the way. We've been creating Leavers Shirts for over 20 years now and 9 out of 10 schools come back to us year after year. We hope that speaks for itself. 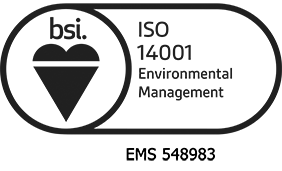 If you want to hear what our customers think about us visit our testimonials page. We set you up a personalised, no obligation Online Shop or Online Order Form to enable you to place your order. Both of these methods were pioneered by School Leavers Company and are the simplest method of placing an order for Leavers Hoodies. You might be able to find cheaper hoodies (as with anything in life) but you won't find a better quality package of great hoodies, the best designs, great customer service and a competitive price. Back in 1997 School Leavers Company was started offering predominantly Leavers Rugby and T-shirts for a few schools. We then expanded into offering Hoodies and in 1998 created the famous 'Rear 01' design with all the names in a number. The original and still the best. A lot of companies won't accept re-orders for a single garment. We're different – if you missed the original order deadline, you can order a single garment here. Not all Hoodies are the same. Yes you can buy one for under a tenner BUT you do get what you pay for. Wholesale hoodies (which all other companies use) can be thin and poorly made and tend to have a higher cotton content which means they are prone to bleed and after a few washes can feel more harsh on the skin. Watch out for poor designs. Most other companies copy our designs in some way and they never look as good. They can be squashed, badly aligned and just not look 'quite right'. Our in-house designers always strive to get the BEST design for you. Some companies that offer online shops will charge you a £1.50 transaction charge per hoodie when you place your order online. We do think this is a bit sneaky so we never charge this. Other companies can offer prices which seem great and then they add on set-up costs, print-screen costs, VAT and delivery. Our prices are fully inclusive so you know what you are paying with no nasty surprises. Unlike other companies our inks are tested on our garments to ensure you don't have any bleeding or printing problems. We advise that you ask to see an example of printing before placing an order — something we are more than happy to do. Bad customer service is common. A lot of companies have jumped on the Leavers Hoodies bandwagon and simply don't have the systems in place to deal with enquiries efficiently. We've designed our own dedicated CRM software so that we can meet the particular needs of our customers. We also produce all hoodies in-house so have full control over the production process. In a marketplace where poor customer service and missed deadlines are commonplace, we're proud to stand apart.